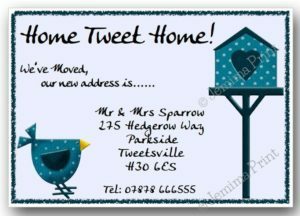 Home / House Moving / Ewe Heard We’ve Moved??? 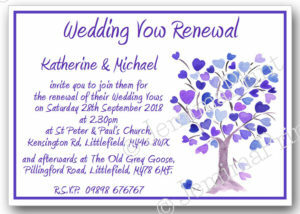 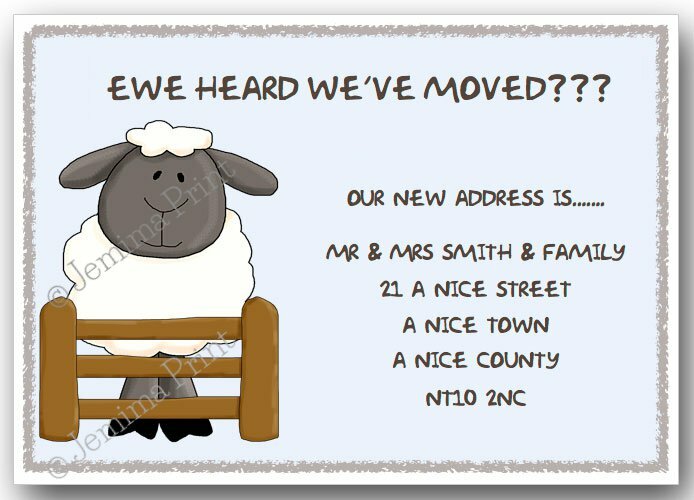 The standard wording on this design is: ‘Ewe Heard We’ve Moved?? 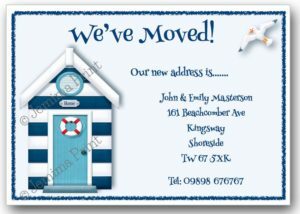 ?, Our New Address is….’, plus your name and address details. 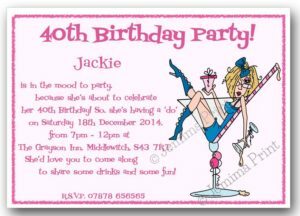 Again the wording can be altered to suit. 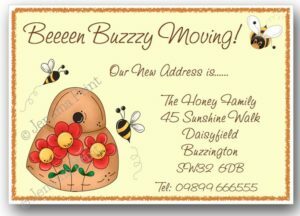 So, if you haven’t yet moved, and would like the card to say ‘Ewe Heard We’re Moving?? 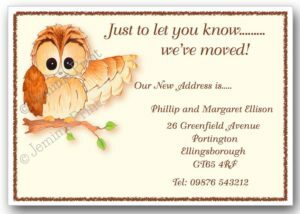 ?’, plus the date you will be moving – please let me know.